Hello, all you eP fans! It's Broni here and I'm your hostess for today. I've recently joined the Make ART - Wendy Vecchi fan page on Facebook, of which our very own Kim is the group leader and administrator. I was excited to see that there are monthly challenges, and for the month of November 2013 the theme is "Be Thankful". So that's where I started for my project today. To begin, I pulled out some supplies to see what I wanted to play with. I definitely knew I'd use some Multi-Media paper and a small branch from Arts Parts Leaves. I also wanted to try out one of my new Chalkboard Flags. 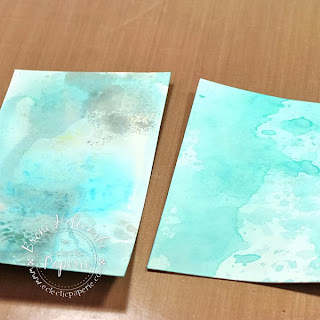 I pressed some Distress Iced Spruce and Peacock Feathers ink onto my craft sheet and misted it with water. Then I pressed a couple of pieces of the Multi-Media paper into the inks several times, drying between times so as not to muddy the colors. I noticed the piece on the left also picked up a little lime color that had been on my craft sheet. I love when that happens! I decided to use that piece and save the other one for another time, perhaps for a snowy Christmas card. 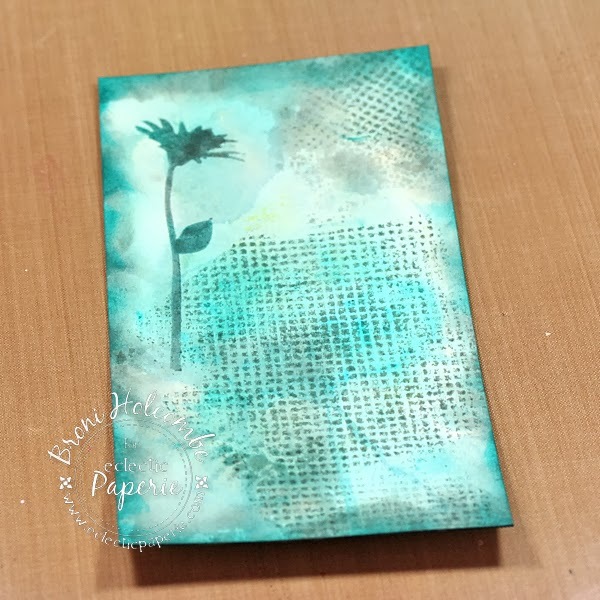 I sponged around the edges with the same colors then used my Studio 490 Wildflowers & Bird stencil and the Iced Spruce ink to add a flower. I also inked up the background stamp from Wendy's Forever Art stamp set and stamped that as well. I thought the colors were a little bold for how I wanted my card to look, so I lightly misted on some Dylusions White Linen ink spray and then added some Perfect Pearls mist for a little shimmer. Then I laid all my pieces together in a couple of different formats to determine how I wanted the final product to look. You can see that I added a Lime enamel dot to pick up the lime color from the inked panel. 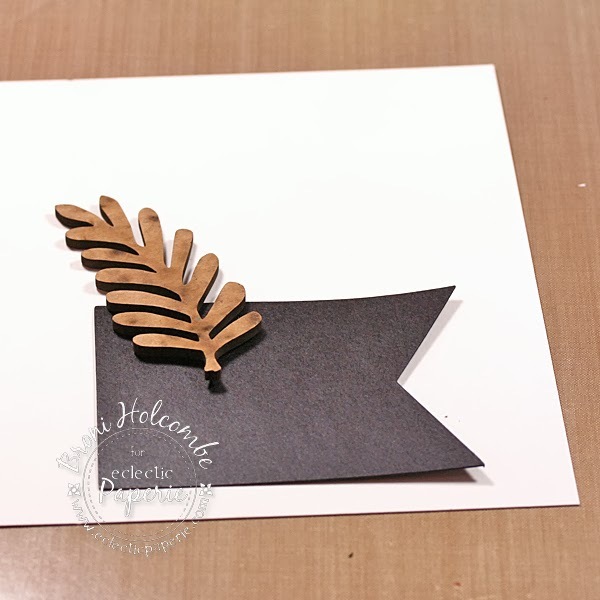 I also added a small strip of black chevron washi tape. Then I called it DONE! I really love how it turned out! And I hope you like it too! I am really pulled to that background. It is quite lovely and I love all the different things you did to make it beautiful. Great techniques! The step by step is very inspiring! Love it, Broni! That Art Parts piece is just perfect on the front of the card! Ooh, Broni!! So pretty!! I love the background - such a great technique! LOVE your BG, Broni! THX for showing the steps! 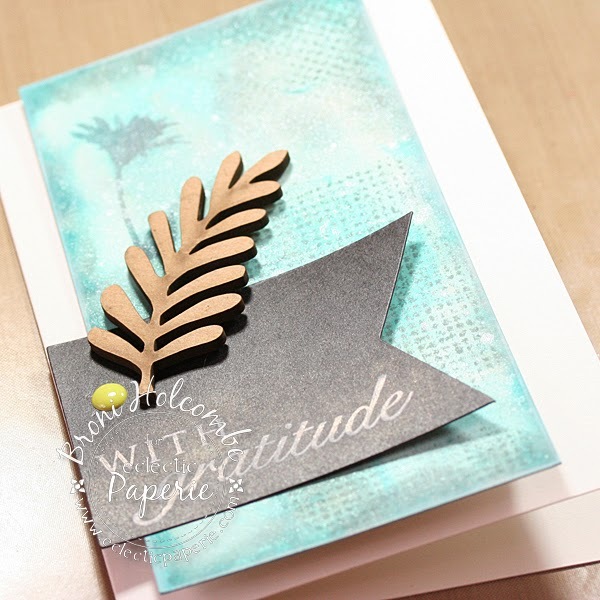 LOVE how you toned down the bright color and LOVE that green dot on the leaf! What a beautiful background for a gorgeous card. Oh My! This is so cool. 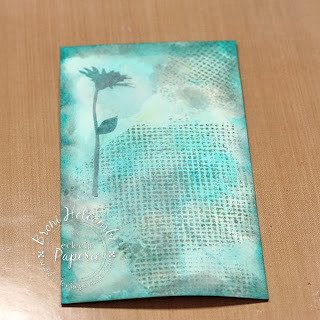 I really love your mixed media cards. They are so fresh and well designed. The background is fabulous. The flag and art parts leaves look amazing and that little lime dot makes me smile...great detail. Broni, this is gorgeous. 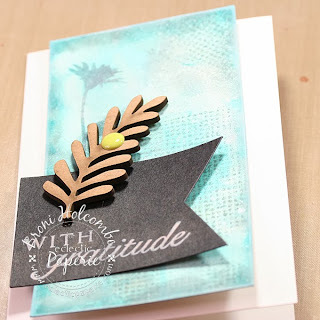 Love the combination of those distress inks with the black - looks awesome. And the art parts leaves - perfect. 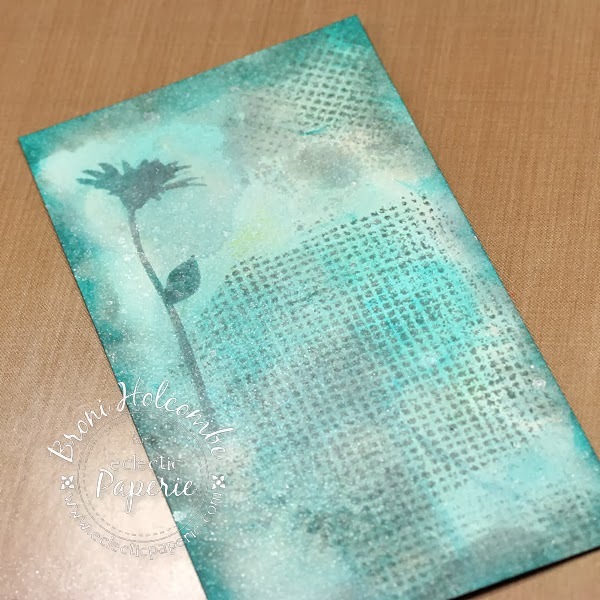 Stunning work Broni..gorgeous color combo and the use of the art part adds that spevial touch!! This is lovely. Great technique!